CRP Will Miss You, Zayneb! 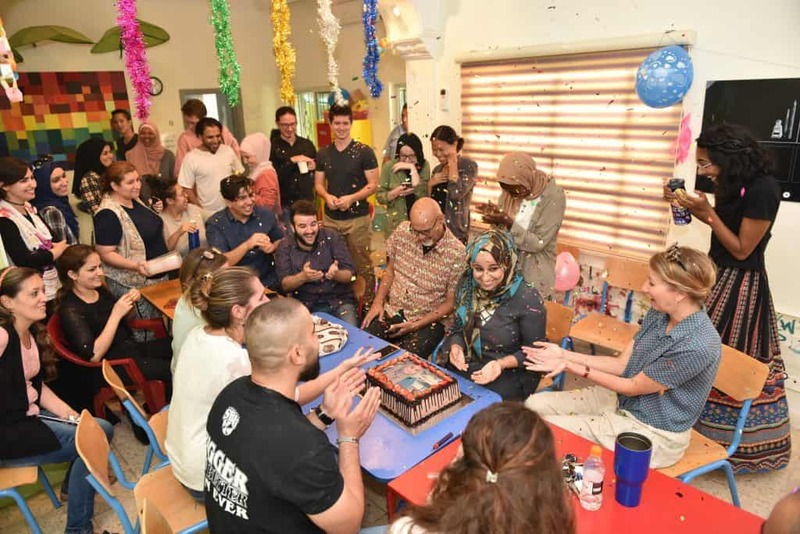 Last week, CRP was overwhelmed with bittersweet sentiments as staff members, beneficiaries, interns, and volunteers said their goodbyes to Zayneb Al Asaadi, CRP’s Deputy Director and Overseer of Emergency Assistance, as she prepared to move to Turkey. CRP’s leaders pose for a picture. From left to right: Brad, Jason, Lilly, Zayneb, Amanda, Karam, and Judy. For the past two and a half years, Zayneb has catalyzed unprecedented growth and change at CRP, all while establishing friendships and connections across the community through her humble leadership, humor, and encyclopedic knowledge of food and travel. With such thoughts going through Zayneb’s head in Greece, she heard about us. 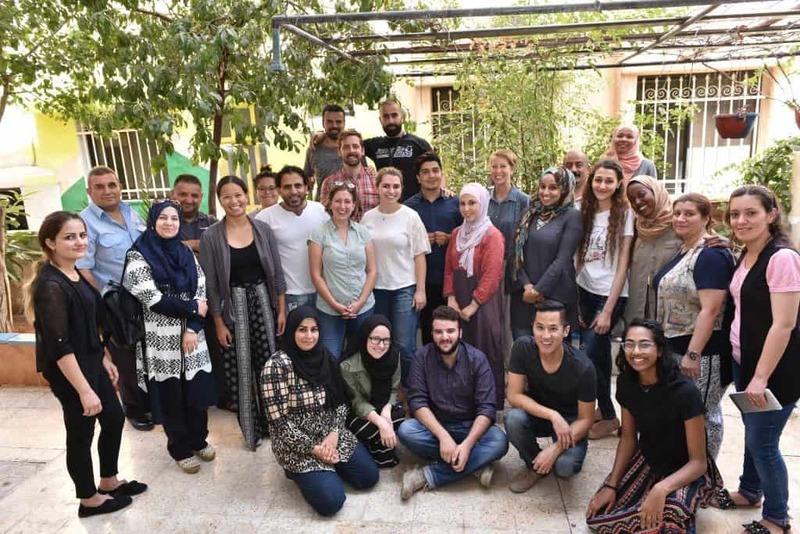 “I heard about CRP and the work that they’re doing in Jordan, and I heard about Amanda—so I was thinking about taking a sabbatical, taking some time out of my job that I was doing for seven years. . . . It was a good job, but it wasn’t personally fulfilling,” she said. 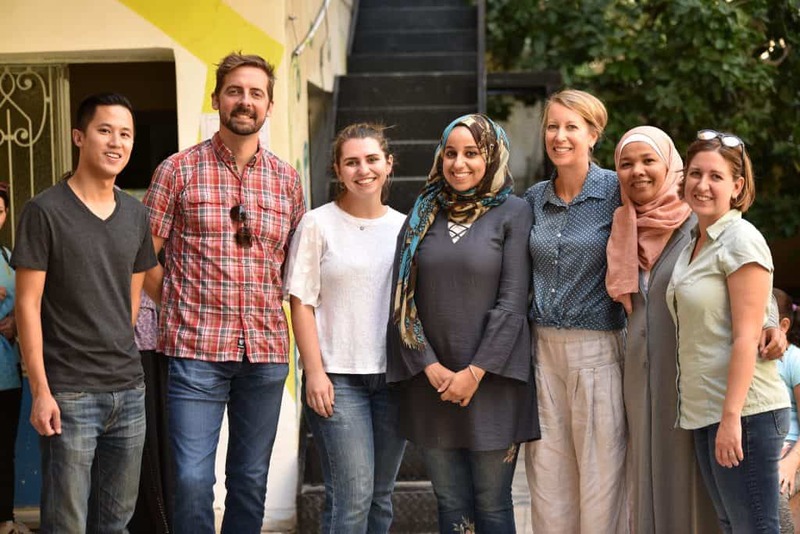 After contacting CRP, and Skyping with Amanda Lane, CRP’s Executive Director, Zayneb went back to England and began preparing to move to Jordan with her husband. Within six months, they arrived. After taking on various projects and roles in CRP, Zayneb eventually settled-in as Deputy Director and Overseer of Emergency Assistance. Staff, interns, and volunteers in Zayneb’s going-away party (look closely at the cake ;)). Although Zayneb will depart from CRP and Jordan, her efforts and contributions to CRP won’t. She will be working remotely at least once a week on an upcoming Teen program that she has come up with. “I’ll be dedicating one day per week, working on developing the curriculum, the materials, coordinating with the staff here at CRP, just to ensure that it comes to fruition really well,” she says. CRP staff, volunteers, and interns at Zayneb’s going-away party. To Zayneb, we say thank you. Thank you for all the dedication and mentally laborious years that you have put forth for CRP and its beneficiaries. We are proud to have worked, and grown, with you.